There are some more initial and special reports even from the trenches and it is in an usual pace. In the one where we speak about vote-rigging and pre-ticket ballots, demonstrations against it or candidates now going independent claiming the election was filled with irregularities. Take a quick look! “Whoever lost in the NRM Primaries and is planning to run as an independent, will cease to be the member of the party”. So the Ministers and big men who have lost their slot will surely lose their crony status if they go against the NRM-Regime in the General Election. Dr. Fred Ruhakana has today officially announced his defection from the NRM party due to irregularities that was practiced during the elections in Kabale district where he lost the seat for kabale district chairperson. 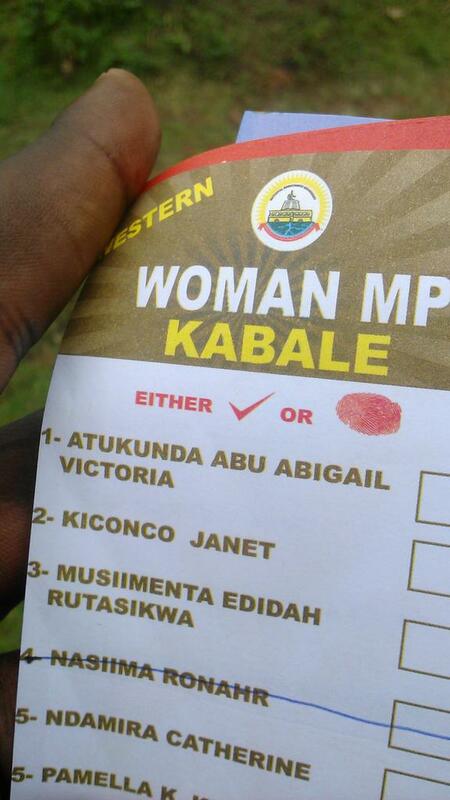 Deborah Mwesigwa has rejected the result and outcome of the Kabuli County. She has claimed that the election in the county was filled with voter intimidation, that they used government resources to gain the upper hand. So Deborah has said after this that she will goes an independent candidate in the general election. “Isaac Apenyo has been declared NRM flag bearer for Ajuri. He thrashed the spokesman NRM parliamentary caucus, Hamson Obua” (…)”Christine Jibu Mambo has taken over the elections for Woman MP, beating Dorcus Acen, Emily Akullu…” (…) ”Meanwhile, asides the reported violence & vote rigging in Moroto county, Minister Rebecca Otengo was declared the winner. The supporters of her rival Sam Okwir, are very bitter about the results, they claim the security agents were so brutal on them. And so they’ve not come to terms with the results, saying the numbers were changed from Abia & Apala sub counties” (94.3 QFM Lira). The Flag-bearer for the county is Paul Geoffrey Bavuga. The Police had to intervene in Kabarole, where the one involved into the matter was John Busingye and Maragreth Muhanga, not the candidates themselves, but the supporters of the two was battling each other. The protest became so violent that they actually broke a bridge and that one was the bridge of Katanda! Peter Ssematimba won the MP seat there. Where the press release was coming earlier today was because of Police and Special Force Unit (SFU) has been involved in the balloting and changing of the result in this district. At certain stage at some polling stations there was more police officers then voters. The flag-bearer of the county is now Nsubuga! There been said that Anite Evelyn was contesting unopposed in the county. Though some says she was contested against a Baba Diri and even the rumors of her losing badly to this person. So did she go as sole candidate in the county or did she not? Charles Olaboro won the election in Kumi and because of that the one who lost the election in the area Silas Aogon cires foul and has sent an petition to the NRM Electoral Commission on the matter. The Police has banned unapproved and the unregulated victory parties in the county especially the parties for the NRM candidates. Where there been madness in the recent days a Police Officer has been taken with pre-ticket ballot-papers and he is being charged with the offence of rigging the vote. “Although voting begun late,the exercise in Mbarara was peaceful with a heavy security presence to avert any violence.MP results at various polling stations in Kakoba are still being counted” (…)”At Kakoba Police: Agip and Manji for mayorship and Kakyebezi is in the lead.Tumwiine is leading at Nsikye1 and Kiyindi polling stations” (…)”Booma didnt go to polls. Voters rejected the process since only ballots for MPs were delivered” (…)”Two people have been arrested over vote rigging.The duo identified as Frank Mugisha and Mwebesa were arrested from Nyakayozo with ticked ballot papers of two of the Mbarara mayoral candidates” (91.2 Crooze FM). Grace Ankunda Bwesigye won the district and because of this the sour loser Osbert Byamukama quit the party this. The winner here is Terence Achia Naco. Captain Mugabe Domonzio Kahonda who won over Gen. Otafiire in the Primaries in the district has finally been released, but, there is a big but! 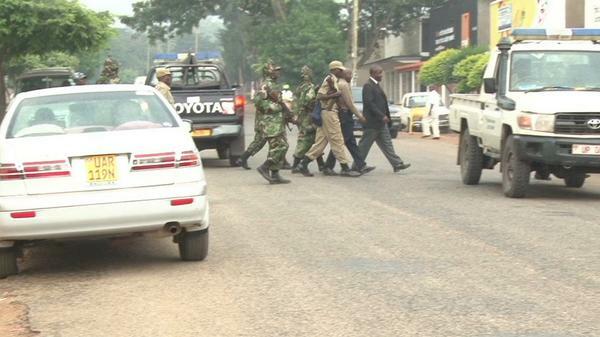 He has to meet before Jinja High Court tomorrow! This starts be more interesting by the minute. The winner and flag-bearer of the county is now Abas Agabe. What do you think? This here never get boring, who and where is the next place for the police arresting and candidate together with security personnel going into the tally centers and secure voting results going their way. There will be more! But not more from me today I think, depending on what information I get… Peace! WHO KILLED OUR PEOPLE IN BUNDIBGYO,KASESE AND NTOROKO? This is to inform Ugandans that the Coalition of Liberation Forces (CLF) have written to all concerned demanding the truth about the recent killings in Bundibugyo, Kasese and Ntoroko Districts. From all the information available and the evidence which will be shown, it is Mr Museveni and Gen Kayihura who are responsible for these murders of innocent Ugandans and their subsequent secret burials. The first point to note is that villagers are themselves surprised as to how these people were killed and buried so quickly and secretly. If it was a clash by villagers and burials by them as government is trying to spin, it would not have come as a surprise to the villagers. The second point is the mode of burial and the speed at which it was done. A tractor was used to dig the trenches for mass graves. Which villagers have a caterpillar to dig trenches? What was the hurry to bury the dead? Even those government claims that these were the attackers, if they were, why did government not wait form them to be identified? Why were the burials done under the cover of darkness? This was most likely in order to destroy incriminating evidence, like torture marks, etc. Already recorded evidence has emerged in Uganda showing Brigadier Muhoozi Kaneirugaba’s special forces operatives and General Kale Kayihura’s murder squads brutally beating up and torturing hundreds of innocent civilians in front of cameras. An international organsation that has some knowledge about the government hand in these killings is compiling a report. We shall wait for that report before we can publish the facts as are known. It is important for all Ugandans to know that those killed and buried in mass graves were not the anti-regime attackers, who launched operations on military and police infrastructures in a targeted manner. The dead were totally innocent people. The first were civilians who run towards the 39 battalion for protection as Bundibugyo town was all under attack. The police stations, bank, barracks etc. were being attacked so there was confusion. The people run to the unit expecting protection. Instead they were met by fire from frightened soldiers who were caught unprepared and could not see that these were civilians. So when you hear Mr Museveni saying that the attackers attacked Lakwena style, it is a lie because these were civilians seeking protection. The second category is of civilians killed by a contingent of Special Forces Command soldiers who were deployed immediately after the attack. These were under the command of a major and two captains. Their names have been given to this international organisation and shall wait for them before CLF can publish other details. The attackers took the guns, ammunition etc. none has been recovered. Those children in the court martial are being used by regime for public opinion management. They are all innocent civilians. Soon, other attacks will follow, this time not in Bundibgyo. So which tribes will be fighting? We shall find out. 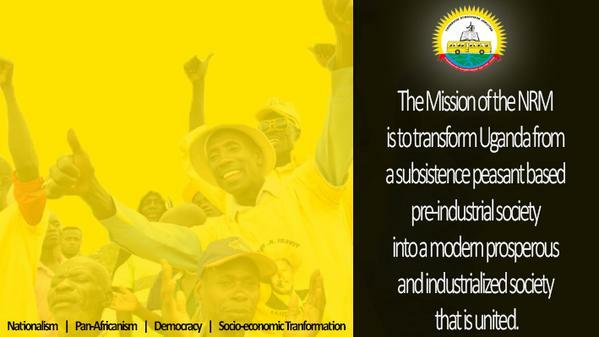 Therefore, fellow Ugandans, don’t be misled by this government misinformation campaign. You will remember that FREE UGANDA chairman had just warned about government intention to kill innocent people to scare them from supporting the rebellion. Unfortunately for government, it is having the reverse effect. Anger and revulsion. More details on this tragedy will be published soon. 1. The Police and its sister security agencies have boosted security in the Western districts of Kasese, Bundibugyo and Ntoroko following the tragic events surrounding the ethnic and cultural conflicts in the area. 2. The area that comprises the Mountain Rwenzori National Park has very significant Safari attractions that have drawn an increase in the number of visitors in the area. 3. This is to therefore, inform all domestic and international tourists that the combined forces of the Uganda Peoples Defence Force (UPDF) and the Uganda Police (UPF) successfully countered the attackers who were linked to the Rwenzururu Kingdom and arrested several of whom it arraigned before the courts of Law. 4. Apparently, calm has been fully restored in the area and recreation centers opened by the Government in the districts of Bundibugyo and Kasese that has led to the recovery of several guns and ammunitions as well as accommodating people seeking shelter and protection. The local leaders and elders managing these centers have taken the lead for the immediate restoration of calm by dialoguing and engaging the locals and all other stakeholders in the area to solve the current issues. 5. The deployment of appropriate Police and Military assets and supporting infrastructure has created safety for visitors selecting the Rwenzori region as a holiday destination. The Tourism Police that is tasked with the primary mandate of ensuring the safety and security of both international and domestic tourists, tourist attractions and facilities in Uganda is fully deployed covering all facilities in and around both the Queen Elizabeth and Mountain Rwenzori National Parks. 6. The Police therefore, urges the public and all tour companies to resume their operations in the area and benefit from the security infrastructure in the area.